A collection of styles for every occasion, featuring UK and international brands. Designed in a selection of upper materials and sole units, available at competitive prices. 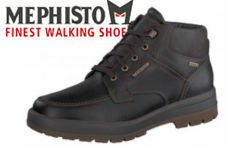 Mephisto's men's range offers rugged walking shoes like the Jim above, where you can be sure of attention to detail, and durable comfortable footwear. Our men's Rieker collection for this winter includes this practical walking style. Be sure to view the full collection - and be sure to buy early because they wont stay around for long! 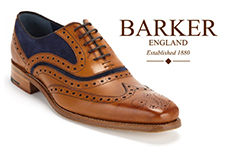 Barker remain a firm favourite with our customers - and the McClean in cedar calf / blue suede is the best seller. 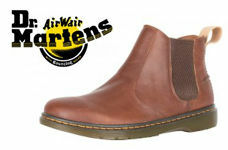 Dr Martens offer new styles for Autumn Winter - alongside the always popular core styles. Our pick is this tan Chelsea boot. 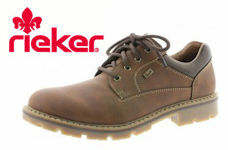 Waldlaufer manufacture walking shoes which offer support and comfort in equal measure. And don't forget about their amazing range of fittings and colours in all their styles. 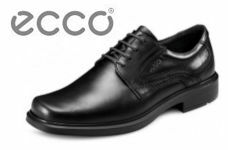 Ecco offers advanced footwear technology - and they own their own leather tanneries to ensure the highest quality uppers. These formal Helsinki styles are popular for use as a formal work shoe which offers instant comfort.